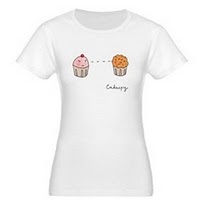 Thank you to two very special people (MCQ and NBM) for suggesting that we add classic Cakespy designs to products at Cafepress! 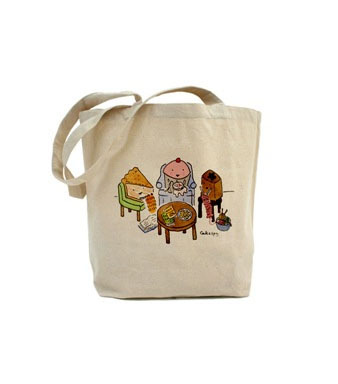 While you can still buy original art, buttons and more at Head Spy Jessie's Etsy store, we now have more options, including tote bags, t-shirts and stickers available at cafepress.com/cakespy. Sweet! Cakespy loves Serious Eats, Not Martha and Tastespotting (thanks to Oh Mindy); they all gave us a sweet mention this week! Thank you! Finally, check out the artwork we did for the awesome Milwaukee Cupcake Queen and for cool cupcake blog KimberleyC Baking!